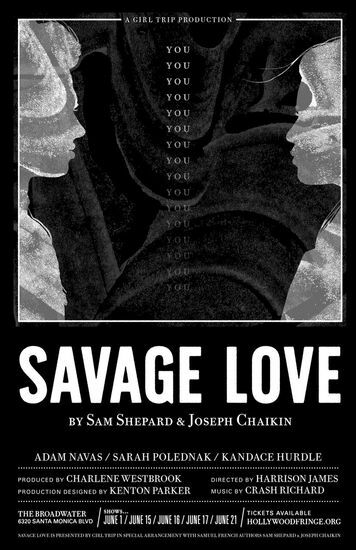 Girl Trip Productions is excited to announce new ground with Sam Shepard’s one act play, Savage Love on June 15th, June 16th June 17th and June 21st at The Broadwater in Los Angeles. 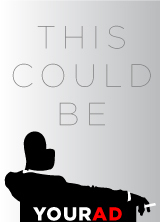 Sam Shepard and mould-breaker Joseph Chaikin penned these real and imagined moments about romantic love and the closeness and distance between lovers in 1981. Savage Love steps through these raw, relatable love moments, getting inside our shared experiences of love— the difficulty of expressing tenderness, the dread of being replaced, or the experience of lovers sleeping next to one another, with one a little bit awake watching the other one sleep. Girl Trip co-founder and director Harrison James and her team (including producer Charlene Westbrook and Girl Trip co-founder Kenton Parker) deliver a fresh take on this stunning and intimate one-act play. The music of Magnetic Zeros’ Crash Richard, along with his sound design, foley and responses, affects the sonic landscape and final form of the piece. Choreographer Sarah Polednak dances the part of the lover, completing a cohesive, collaborative piece. Founded in 2012, Girl Trip provides female artists under 35 with opportunities to exhibit works, engage and collaborate with fellow creatives, and gain expertise from women of distinction in the arts. Opening doors to increase visibility, emerging artists become relevant, represented contributors who helm projects, reach their audience, and achieve financial equality.